Gulf Coast Shutter Company, Inc.
Shutter Source of Florida Corp. Comment: (1) Broken 1" vinyl mini blinds in living room. 71.5"w x ~50"h. Need a replacement set of same style blinds, installed; old blinds removed. (2) Already-installed 1" vinyl mini blinds in dining room but not anchored properly. Needs to be removed and re-installed. Comment: Hang existing valance with rod, etc in our bedroom. Comment: 9 ft by 10 ft window track only works one way. 8ft by 10ft interior to Lanai works but sticks. Comment: My blinds in the bathroom have a broken cord and will not go up or down. Sarasota Window Treatment & Covering Companies are rated 4.69 out of 5 based on 555 reviews of 29 pros. 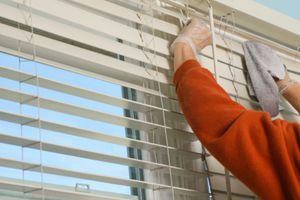 Not Looking for Window Coverings Contractors in Sarasota, FL?